ISLE OF MAN – Microgaming unleashes two exclusive games developed by Just For The Win. Kicking off this month’s adventures is Temple of Tut, a 5x3 reel, 10-payline slot where players can uncover the riches hidden within Tutankhamun’s treasure chamber. Paying both ways and featuring free spins and Super Reels with stacked wilds, this Egyptian themed game will take players on a daring expedition to big wins. Joining players in their search for King Tut’s wealth are three bold explorers that act as symbols in the game, alongside The Eye of Horus and other ancient Egyptian artefacts. The game includes a new feature in the form of Super Reels, which can randomly appear in the base game to activate bountiful rewards. The light beam and golden scarabs can provide up to five Super Reels in a spin, where each reel contains 50% stacked wilds. In free spins, Super Reels are always active to build up excitement, and landing three or more scatters can trigger up to 30 free spins to give players the opportunity to supersize their wins! Designed for adventure seekers and treasure hunters, Temple of Tut is live with Microgaming and Quickfire operators from 2 May 2018. The escapade continues in Amazing Aztecs, a 5x3 reel, 243 ways game that will transport players back in time to an empire filled with incredible riches. Inspired by the ancient civilisation that once ruled South America, the slot features vibrant artwork and majestic characters that will guide players on their journey to monumental rewards. Every win in the game grants players the chance to trigger the Giant Re-Spin feature, where 2x2, 3x3 and 4x4 Giant symbols can activate legendary wins. During the feature, the booming sound of ancient drums builds anticipation as the reels spin, followed by a cascade of golden coins when the player lands a winning combination. Regal rewards await discovery in Amazing Aztecs, which goes live with Microgaming and Quickfire operators on 31 May 2018. We are following up our previous successful releases of Goldwyn’s Fairies, Lucky Links and Deco Diamonds with not one, but two thrilling adventures available exclusively to Microgaming. 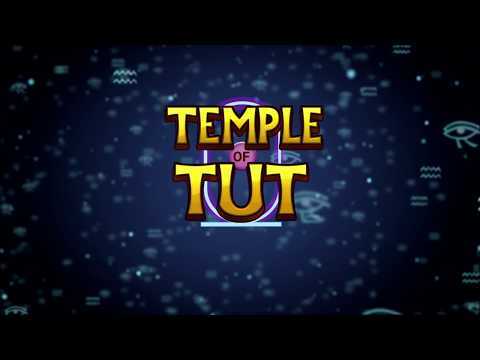 An Egyptian expedition within Pharaoh Tutankhamun’s chamber awaits players in Temple of Tut, a game that pairs stunning graphics with lively animations that bring the Super Reels feature and Free Spins to life. 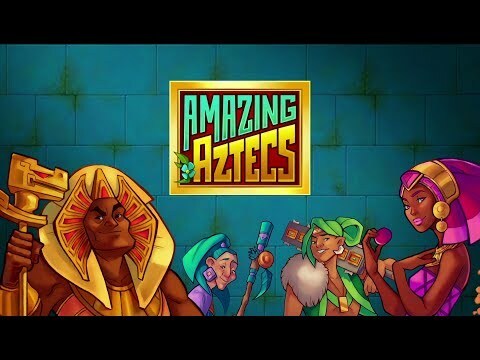 Amazing Aztecs is Just For The Win’s second game release in May 2018. The game follows a tribe of Aztecs in the hunt for gold in this 243 ways game with a new mechanic called Giant Re-spin. Any win in the game can trigger a Giant Re-spin with Giant symbols containing 4, 9 and 16 normal sized symbols that guarantee a win. Vivid artwork and brilliant sound come together beautifully in this slot to create an entrancing experience whenever the Giant symbol lands on the reels. Just For The Win have done it again with two new exciting game releases. Players can win both ways in Temple of Tut where they join a team of explorers on an epic expedition for Egyptian treasures. Ancient relics act as symbols in the game, set against the backdrop of King Tut’s treasure chamber where Super Reels can randomly appear to grant epic wins. “In Amazing Aztecs, players can journey alongside the Chief, the Hunter, the Shaman and the Princess in their search for legendary wealth. The game is brought to life by rich animations and vibrant graphics, combined with a frequently occurring Giant Re-Spin feature to spark thrill in every spin!